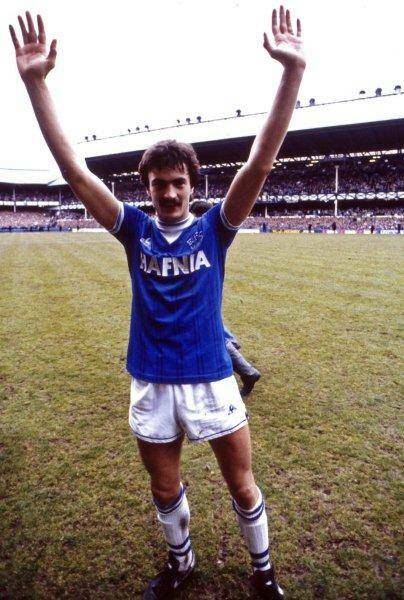 Everton 80’s legend Derek Mountfield recently spent some time chatting with GrandOldTeam’s student journalist Paul Warner about Everton’s 2013/14 season, the loan market, Roberto Martinez and more. Throughout the season one of the main things that people have picked up on, in particular a certain Mr. A. Wenger and the Daily Mail, is our use of loan signings. It wasn’t an issue when we had the likes of Royston Drenthe or Denis Straquilursi but because of the high league position we’ve sustained this year and the success of our loan players, it has been one of the criticisms of the club. What does Derek make of the issue and the players we’ve utilised this season? He continues; “Gareth Barry’s been immense and I’ve known him for many years, he was a quality player at Villa. Lukaku needs to learn to be more aggressive for me. I think he needs to be getting into centre halves and give them a bit of a dig in the ribs, and Deulofeu is still very, very young. He’s got a lot of learning to do. But to all those people saying we used the loan system, what about the likes of Howard, Coleman, Jagielka and Stones? They’re in the team every week and it must be a bit of a kick in the teeth for them. “There’s only really two loan players in the team every week and that’s Barry and Lukaku. Deulofeu has been a bit of a bit-part player so all those other players must feel a bit annoyed that they’re not given the credit they deserve.” This time last year, the future of Everton seemed difficult to predict. Many people expected a mid-table finish this season while others spoke about us being potential relegation fodder, but they couldn’t have been much further from the truth. One of the main areas that people have compared the two managers in is the positive mentality that Martinez has imposed on the whole of Everton Football Club, from the players to the fans. David Moyes admitted to taking the team to stadiums like Old Trafford and trying to ‘get out alive’, whereas Martinez goes to every stadium with the aim to win.